“African American buying power is at 1.1 Trillion dollars and yet only 2 cents of every dollar an African American spends in this country goes to Black owned businesses. “Over the years, beauty salons and barber shops have come to provide a unique social function. . . Scholars often cite these sites as “sanctuaries . . . locations where Black people could be vulnerable and talk about issues of importance in the community.” With these few words, the Smithsonian captured the essence of these institutions. Beyond the primary position of Black churches in the African-American community, barbershops and beauty salons hold a key place as a hub where community, culture and commerce intersect; where young Black people see the promise and possibility of entrepreneurship, where issues related to the health and wellbeing of Black people are weighed in the balance of society at-large, and where political fortunes can rise or fall. Now, however, there is growing concern this may all be about to change—at least here in California. A ruling by the state supreme court in “Dynamex Operations West, Inc. v. Los Angeles,” last April, called for the reclassification of many independent contractors—a group considered the backbone of the Black haircare and other industries. This could push many individuals out of business and/or change the significant role barbershops and beauty salons play in Black culture and politics. With its ruling, the court abandoned a standard used for years to determine a worker’s status as employee versus independent contractor. The ruling seemed perfect for the Dallas-based truck drivers who filed the claim against Dynamex because the company had wrongfully reclassified its drivers as independent contractors, possibly to avoid the associated overhead costs associated with employees which can cost businesses an additional 20 to 30 percent. Although the ruling may be perfect for Dynamex drivers, it delivered a major blow to the Black Hair Care industry among others. In considering the Dynamex case, the court found there was no specific definition of what an independent contractor was in California, nor were there clear guidelines regarding who should qualify as an independent contractor. The supreme court attempted to create clarity on this issue with the Dynamex ruling. Now, several segments of the economy are left wondering whether the court’s strict “ABC” requirements for classification as an independent contractor, will now disqualify them as such in industries like construction, transportation, manufacturing, retail, agriculture, professional/business services, etc. Although difficult to quantify, by some estimates there are as many as 100,000 practitioners in the beauty business in California which includes barbers, beauticians, manicurists, etc. that might be impacted by the Dynamex ruling. Black barber/beauty shops owners and operators are working to understand what the Dynamex ruling means to their business models, and whether complying with the new “ABC” test for independent contractors will be too cost prohibitive for them to continue in business. One industry entrepreneur is committed to educating the members of the hair care community about this issue and advocating for legislative relief in relation to the Dynamex standard. Because of their business, the Griffins are in the unique position of seeing the hair industry from all angles. “The beauty salons and barbershops are retail centers for our products,” he explained. The Griffins have made a business choice to market only to Black salons and barbershops versus beauty supply stores (most of which are not Black owned) as a way to help ensure their Black dollars are recirculated within the Black community. Recycling Black dollars is important to strengthening the African-American community. The NAACP reported last year, “African-American buying power is at $1.1 trillion; and yet, only two cents of every dollar an African-American spends in this country goes to Black owned businesses.” The organization further stressed—a dollar circulates in Asian communities for a month, in Jewish communities for about 20 days, White communities for 17 days, but in the Black community—a dollar circulates for only 6 hours. This limited circulation coupled with the reality that African-Americans are about 14 percent of the nation’s population but are only responsible for 7 percent of the nation’s small businesses—presents one more reason to be concerned about any ruling that will erode the entrepreneurial base of this community—a very real possibility for barbershops and beauty salons with the Dynamex mandate. Griffin learned about the Dynamex decision as a member of the Professional Beauty Association (PBA), a multi-cultural organization with nearly 100,000 members focused on issues of importance to the beauty industry. He also got news of the decision from a Northern California hairstylists and friend, Carmen Richardson, who posted information about the ruling on Facebook. Griffin immediately thought about the impact the court’s ruling could have on Blacks in the industry and got busy spreading the word. His efforts have taken two tracks. First, he remains in close contact with PBA and the organization’s lobbying efforts in Sacramento. 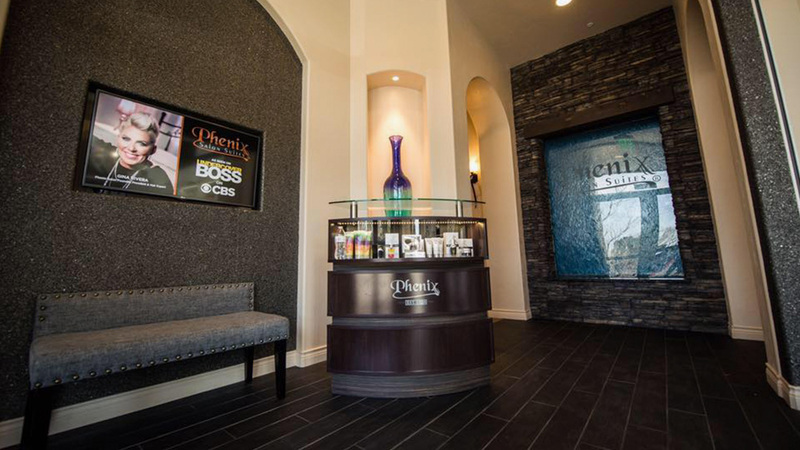 Secondly, he has worked with clients like Menifee-based hairstylists, April Furnace, who connected Griffin with a human resources expert who has supported Griffin’s efforts to help strengthen the barber/beauty community’s understanding of the court ruling. “I’ve had a total of four meetings on this topic,” Griffin shared as he acknowledged the meetings were so well attended, there was standing room only. “I’ve met in Ontario twice, Hawthorne once, and San Diego,” he added. The modifications recommended Muller included the importance of having a Cosmetology license, “Most already do,” Griffin stated. According to Muller, the stylist should also have a business license in the city where they work, liability insurance for their business and importantly—a contractual agreement between the salon owner and the hair stylist confirming that the stylist is totally independent. According to Griffin the language might also include something to the effect that the stylist comes and goes as he/she wants, collects his/her own money, and that the stylist is not mandated to attend any meetings—that he/she operates totally independent. It is these four points, Griffin proclaimed that keep the stylist from being classified as an employee. The Dynamex ruling established what is referred to as the ABC’s for qualifying as an independent contractor: (A) that the worker is free from the control and direction of the hirer in connection with the performance of the work, (B) that the worker performs work that is outside the usual course of the hiring entity’s business, (C) that the worker is customarily engaged in an independently established trade, occupation, or business of the same nature as the work performed for the hiring entity. The importance and impact of this institution within the Black community can not be overstated. “When Obama ran for president, we had all of our salons and barbershops and beauty schools promoting for him and getting the word out,” Griffin confided. “Right now, we need Kamala Harris in our corner,” he said noting the important role legislators can play regarding this issue. Currently there are at least two pieces of Dynamex related legislation being considered in Sacramento. Neither of which addresses what Griffin believe is most important. One measure being considered, AB 5, calls for the Dynamex decision to be codified into law, while the other, AB 71, seeks to overturn the Dynamex decision and reinstate the old rules. Griffin on the other hand believes, “If the trucking industry wants it, that’s fine. They can be employees. But,” he continued, “the beauty industry does not want it. They do not want to be employees.” Griffin instead supports legislation that will exempt the beauty industry from the mandates of Dynamex. He also focused on another danger wrought by the Dynamex decision. “Another reason its going to hurt the Black beauty salons more severely than any other group is because there are chains of salons called Sola or Phenix with private suites.” According to Griffin these suites provide everything needed for a stylist to meet the mandates of Dynamex. Griffin wonders how these companies got ahead of the game as it relates to the independent contractor requirements of Dynamex. He also expressed concern that some Black stylists are now leaving Black owned salons, going into these White owned establishments and renting their private suites instead. “Some of them have between 25 and 50 private suites in each location,” he declared adding, “A week doesn’t go by that I don’t learn of a Black stylist that has left a Black owned salon and gone into one of these White owned establishments to rent one of those private suites. 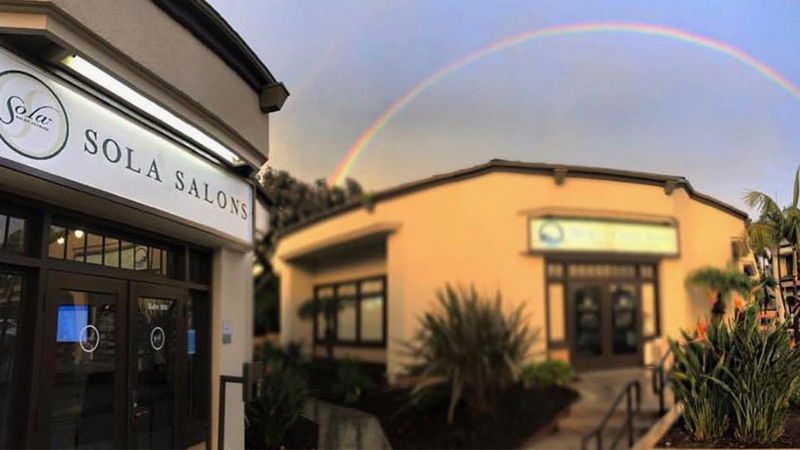 “A lot of the Black own salons do not have the resources handy to convert their salons to private suites and/or they and may not have the room.” Although Griffin and others are working to educate stylists on how to meet the letter of the law as independent contractors, Dynamex still presents roadblocks. He and his wife plan to continue their efforts of informing as many as they can using social media outlets, etc. They also hope to get someone in the legislature to sponsor a bill to exclude the hair industry from the Dynamex ruling. To follow Griffin’s work on this issue visit https://laranproducts.com/.